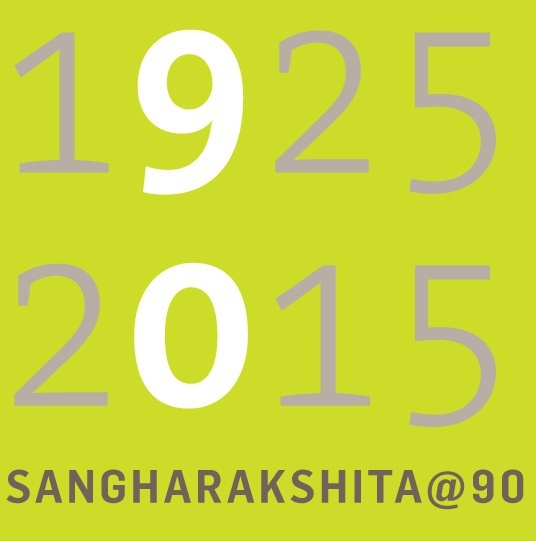 Next Wednesday 26th August, Sangharakshita will be celebrating his 90th birthday. As part of the celebrations, we are releasing A Moseley Miscellany, a collection of his recent – and previously unpublished – writing. The book will be launched this Saturday 22nd August at the Triratna Order event at Adhisthana Retreat Centre, but you can already see inside the book on our website, where it is available in both paperback and eBook format. Throughout next week, we will be publishing free excerpts from a selection of Sangharakshita’s most popular titles, so keep an eye out on our blog, and also on the event listings at your local Buddhist Centre so you can join in with the celebrations there. Most importantly, don’t forget to contribute towards Sangharakshita’s birthday present!